Available in 26 bold shades. It dries to a velvety finish. Additional Information: L.A. Girl is a renowned US based brand that focuses on meeting the beauty needs of every woman. L.A. Girl Matte Lip Color is boldly intense and leaves your lips wanting for more. Explore the entire range of Lipstick available on Nykaa. Shop more L.A. Girl products here.You can browse through the complete world of L.A. 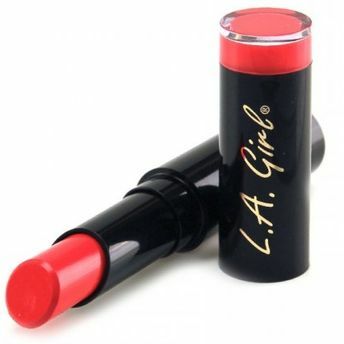 Girl Lipstick .Alternatively, you can also find many more products from the L.A. Girl Matte Flat Velvet Lipstick range.